Sportbeha’s medium support – Wit. Sport-BH met medium support van Fashionablefit. Elastiek onder de buste voor de beste pasvorm. Sportsinglets met tight fit – Zwart/Zilver. Seamless sports top from Fashionablefit. Shaped with thin collar at top. Truien – Zwart. Velvet sports hoodie from Fashionablefit. Short and loose at waist. Sportbeha’s light support – Wit. Sport-BH met light support van Fashionablefit. Elestiek onder de buste voor de beste pasvorm. Sweaters – Zwart. Trainig sweater in brushed soft quality from Fashionablefit. High collar with hidden zipper for adjustable fit. Sporttights – Zwart. Korte trainingstights van Fashionablefit. Hoge taille met brede band. Sporttopjes met korte mouwen – Wit. T-shirt van mesh van Fashionablefit. Oversized model met diepe v-hals. Sportsinglets met sportbeha – Wit. Traininghemdje van Fashionablefit. Aangesloten model met ingebouwde sport-BH. Sportbeha’s light support – Zwart. Sports bra from Fashionablefit. Elastic under bust for optimal fit. Driekwart sporttights – Dusty Pink. Training tights from Fashionablefit. Seamless design with wide elastic at waist. Sportsinglets met sportbeha – Grijs gemêleerd. Traininghemdje van Fashionablefit. Aangesloten model met ingebouwde sport-BH. Sportbeha’s high support – Zwart. Sport-BH met twee lagen Fashionablefit. Buitenste laag van mesh met decoratieve rits aan de voorzijde. Sporttights – Zwart. Training tights from Fashionablefit. Figure fitted model in stretchy material. Pilotenjacks – Beige. Trainingsjack van Fashionablefit. Iets kort en oversized model. Rits aan de voorzijde. Sporttights – Dusty Pink. Tranining tights from Fashionablefit. Seamless design with wide elastic at top. Sportsinglets met sportbeha – Zwart. Top from Fashionablefit. Tight design. Dual layered top, outer layer in mesh. Sporttopjes met korte mouwen – Zwart. T-shirt van mesh van Fashionablefit. Oversized model met open gedeelte op de rug. Sportsinglets met tight fit – Zwart. Sports bra from Fashionablefit. Long design with decorative opening at back. Parka’s – Zwart. Training jacket in contrast panels along the waist in a shiny material from Fashionablefit. Pilotenjacks – Zwart. Training shirt in contrastpanels in mesh along the waist and the arms from Fashionablefit. Sporttights – Zwart. Training tights from Fashionablefit. Stretchy, form-fitting design. Wide elastic at waist. 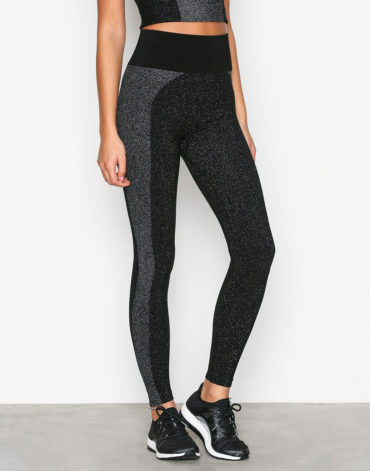 Sporttights – Zwart/Zilver. Seamless tights from Fashionablefit. Form-fitting, stretchy material. Sportbeha’s light support – Zwart. Sports bra from Fashionablefit. Elastic under bust and opening at back. Sporttights – Zwart. Trainingstights van Fashionablefit. Hoge taille met brede boord. Sporttights met compressiefunctie – Zwart. Compression training tights from Fashionablefit. High waist with wide elastic. Sporttights – Zwart. Training tights with high waist from Fashionablefit. Decorative elastic straps at waist. Sportsinglets met loose fit – Grijs. Hemdje van Fashionablefit. Kort model met trutleneck en diepe armsgaten. Sporttopjes met lange mouwen – Dusty Pink. Trainigsshirt van Fashionablefit. Seamless model met aangesloten pasvorm en V-hals, gedeeltes in afwijkende kleur. Sportsinglets met sportbeha – Zwart. Traininghemdje van Fashionablefit. Aangesloten model met ingebouwde sport-BH.